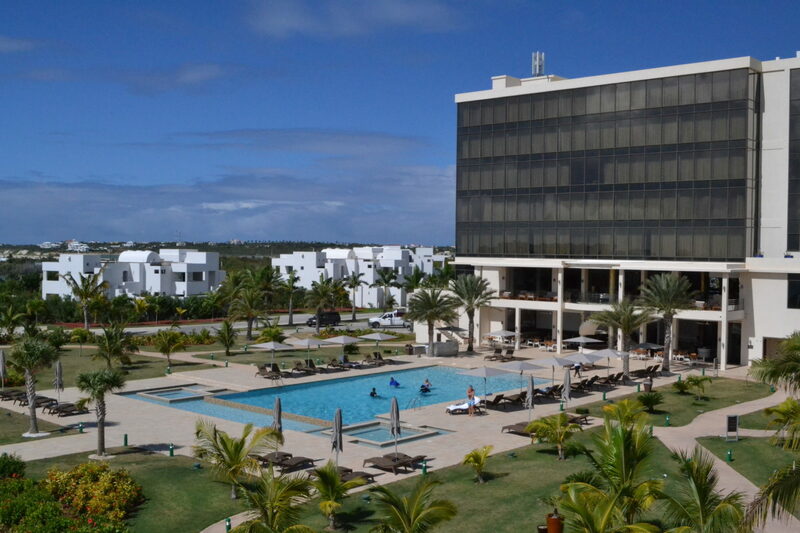 The CuisinArt Golf Resort & Spa chose to look at the darkest day in their almost 20-year history as a new beginning. 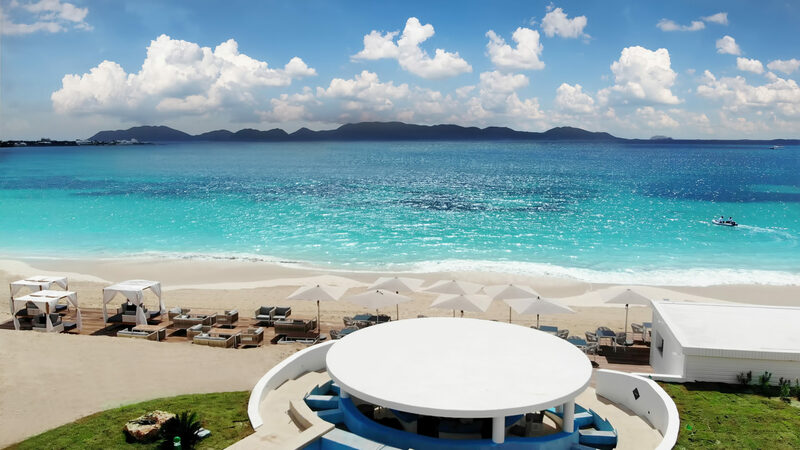 This optimistic attitude and approach has resulted in a remarkable transformation for the 275-acre property located on Rendezvous Bay in Anguilla. The date was September 6, 2017 when Hurricane Irma ripped through Anguilla with 185-mph winds. CuisinArt Resort and their Greg Norman-designed golf course were not spared. Almost immediately the CuisinArt management team chose to look at Irma as a chance to start over, and they began a 15-month trek to making CusinArt better than ever. Today’s CuisinArt looks and feels brand new. What’s original, what’s fresh, and what’s different is almost everything. 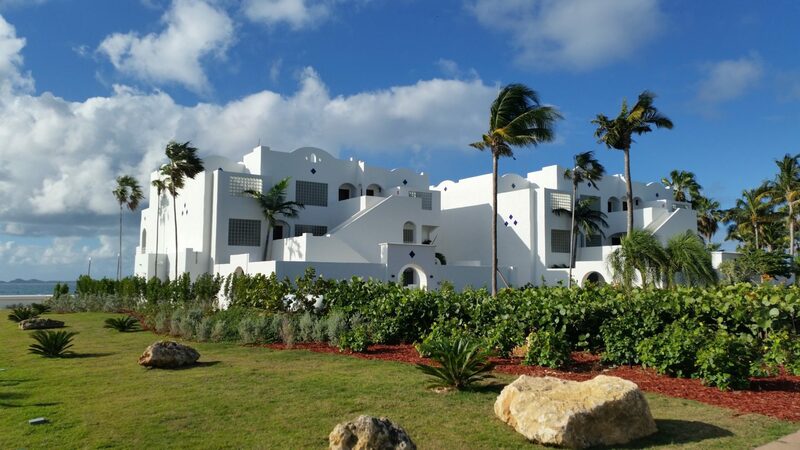 Let’s explore the CuisinArt Golf Resort & Spa’s new beginning. 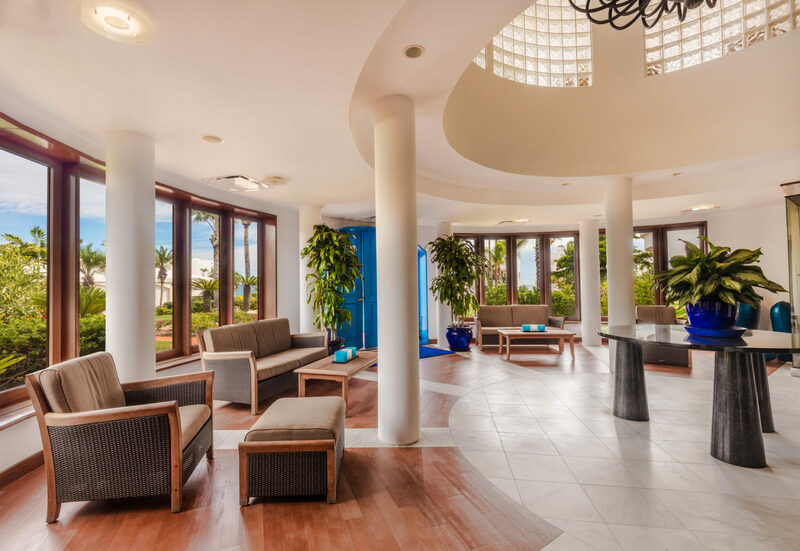 The CuisinArt changes are evident as soon as you walk into the lobby and reception area. Look left and there is an amazing water feature that resembles a giant aquarium. Gaze forward and there is artwork depicting more water. Tilt your eyes straight up and revel in a crystal chandelier decked out in CusinArt’s trademark cobalt blue and white colors. These features are all captivating, but it’s hard to take your eyes off CuisinArt’s runway leading toward an infinity pool that draws your eyes like a beacon. 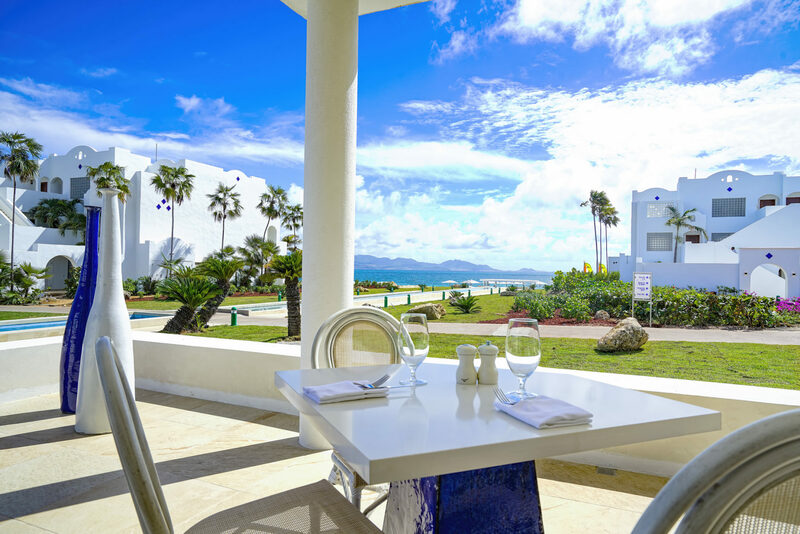 The view doesn’t stop there as you gawk at fountains, a new Beach Bar, and then…. the ravishing Caribbean Sea. 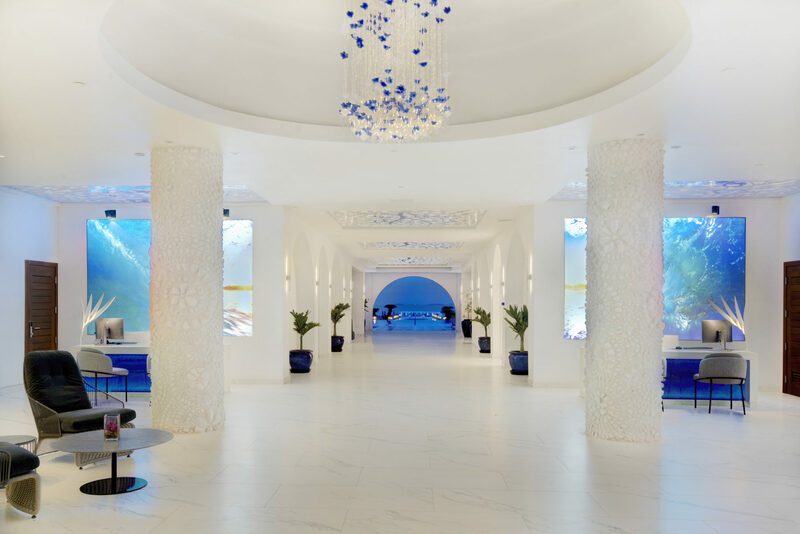 CuisinArt has designed a first impression exercise to unconsciously remind guests why they chose this architectural marvel of a resort in the first place. 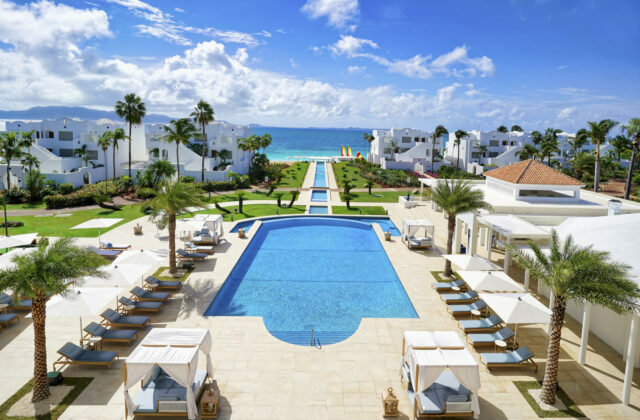 Before discussing the new accommodations, new ballroom, new restaurants, new bars, new spa, and the revitalized golf course, CuisinArt reminds vacationers that their breathtaking key ingredient remains intact. The resort’s main drawing card, stunning Rendezvous Beach, is still one of the most beautiful beaches in the world. Speaking of new beginnings, CuisinArt bursts with pride over their selection of luxury abodes featuring comfort, awesome views, and premium bedding to lay your head at night. CuisinArt’s new digs are sleek, gorgeous, and offer fingertip around-the-clock service. Guests choose from Suites, Villas, Penthouses, and even up to three-bedroom Residences for those who choose to own their resort experience. In each case guests indulge in a whitewashed Mediterranean-style architecture mindful of the Greek island of Mykonos. 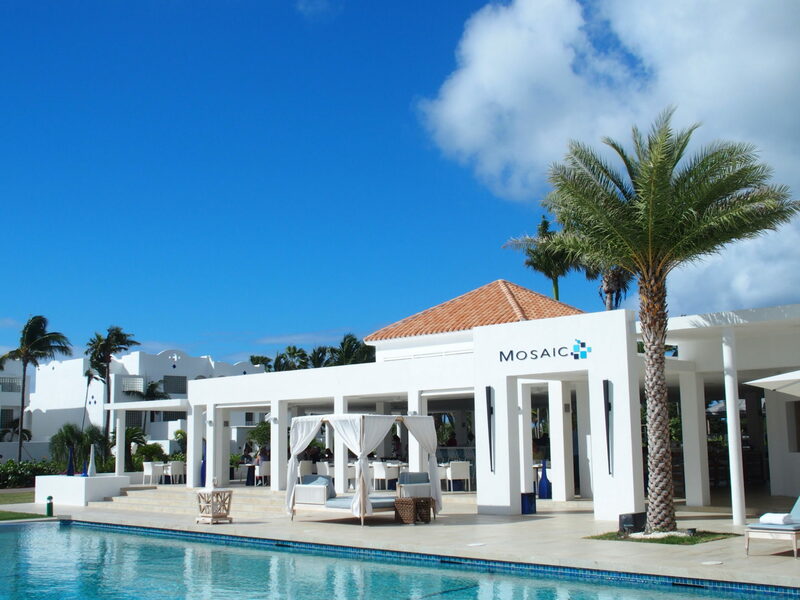 If there is a better way to start your day than at the new Mosaic Restaurant, please let CuisinArt President & Managing Director Stephane Zaharia know. Nearly every morning you’ll find Zaharia making his rounds, engaging with guests, and supporting his culinary staff. 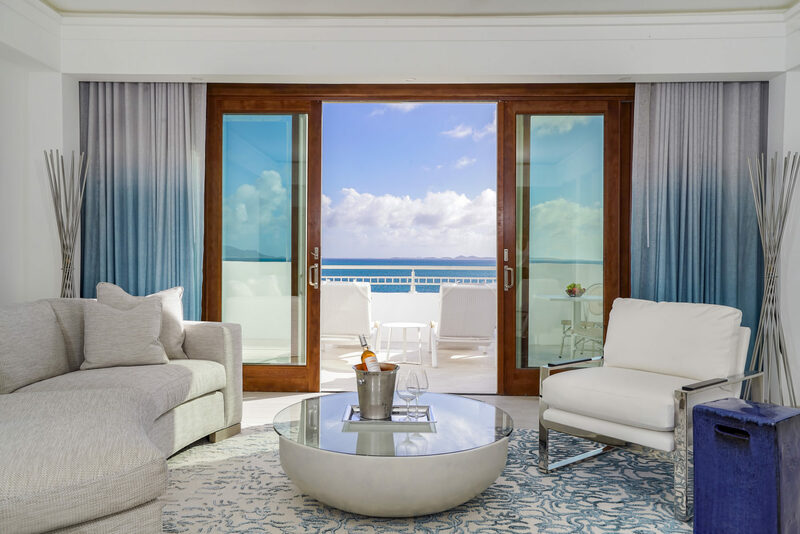 Amidst Anguilla’s fresh air, sunny skies, and gentle trade winds, Mosaic features outstanding ocean views and complimentary breakfast for CuisinArt guests. An international array of dining options are available during the evening hour. At the golf course you’ll find Santorini Restaurant and its menu of Mediterranean style cuisine. Santorini offers unparalleled views of Anguilla and the neighboring island of St. Martin. 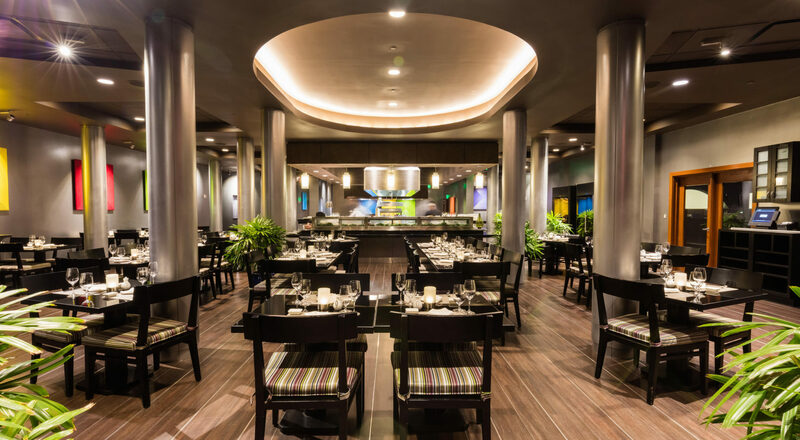 You’ll find the Tokyo Bay Restaurant on the top floor of the 3-story building that also houses The Spa by CuisinArt. This new dining venue features Japanese dishes, sushi, Teppanyaki, and private dining. New beginnings are also experienced at The Spa by CuisinArt. Guests relax with a second story view while enjoying a facial, body treatment, the latest in skincare technology, and hydrotherapy. For those looking to get their heart beating, CuisinArt also offers yoga, paddle boarding, and aqua fitness classes. Along the white sand shores of Merrywing Bay stands CuisinArt’s brand new sister property, The Reef by CuisinArt. 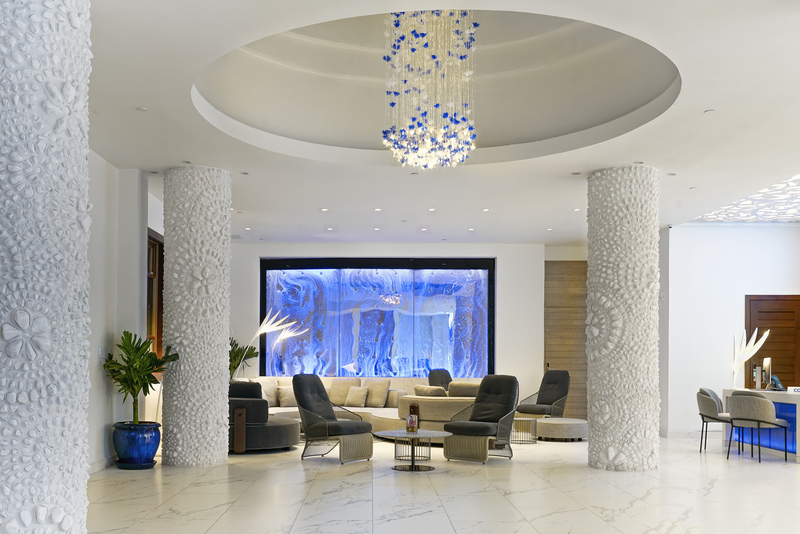 A member of The Small Luxury Hotels of the World, The Reef features 80 luxury suites and two restaurants. This upscale retreat places an emphasis on wellness, spa treatments, nutrition, fitness, yoga, aqua cycling, tennis, bocce, and the latest in technology. The beauty of a stay at the Reef is that guests enjoy access to all that CuisinArt has to offer. On an island where natural beauty is king, a close second is doubling down on luxury. 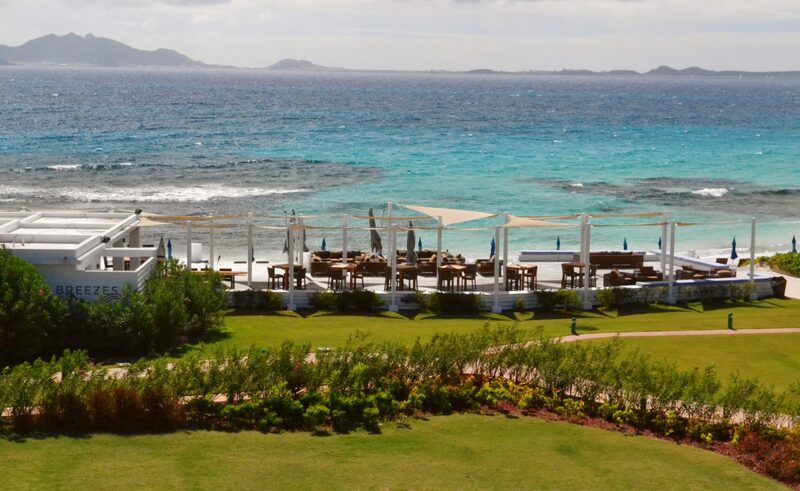 Despite only being 16 miles long, Anguilla is home to one of the finest golf courses in the entire Caribbean. 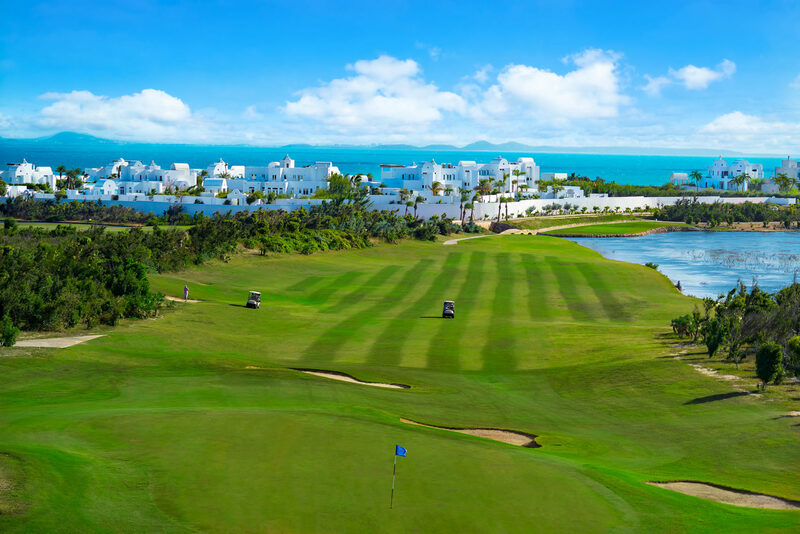 Designed by golf legend Greg Norman, CuisinArt Golf Club features water on 15 of 18 championship golf holes. 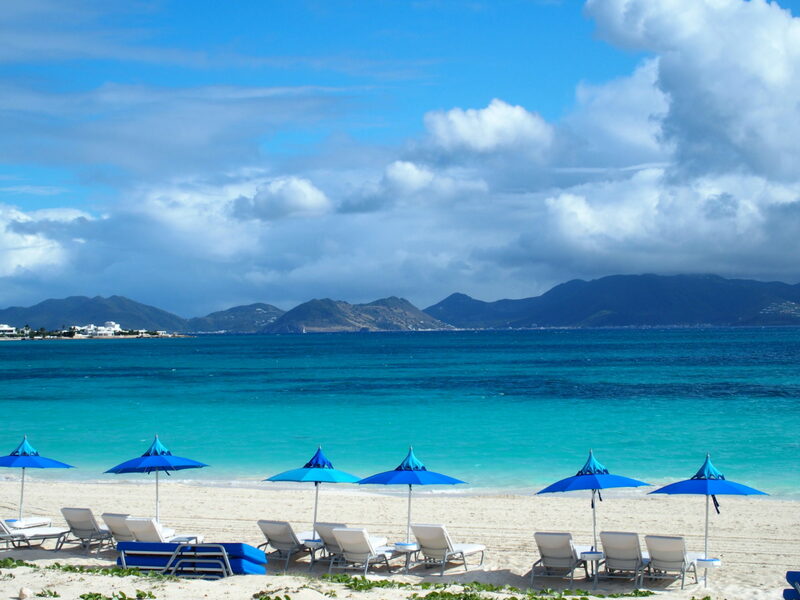 Spectacular views of the Caribbean Sea and St. Martin can be found on both the front and back nines. 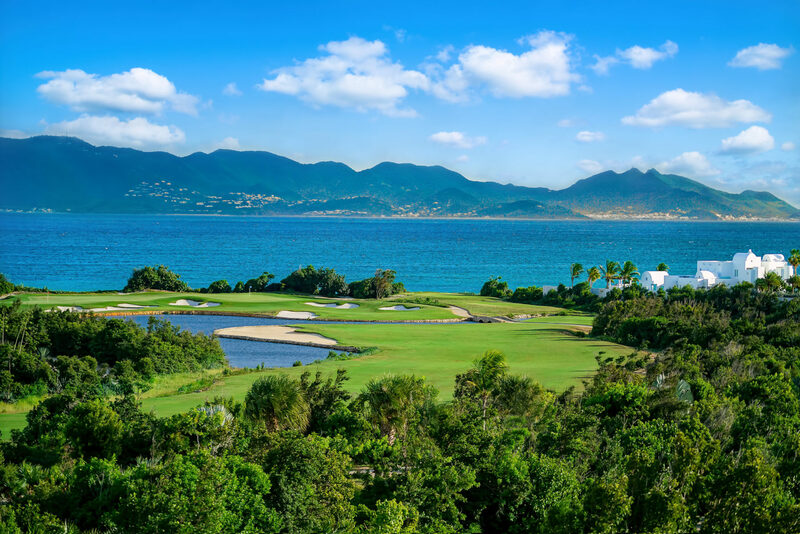 As part of CuisinArt’s new beginning, golfers will enjoy new Titleist rental clubs, new Yahama golf carts with GPS, and new bunkers with imported silica sand, with green fees of only $100 per round for guests of either resort. On the way to his morning breakfast rounds, Stephane Zaharia said he couldn’t help appreciating the color popping from newly planted flowers found throughout the CuisinArt property. Zaharia felt this growth, color, and energy not only reflected his team’s comeback, but also what his guests were experiencing at the new CuisinArt Golf Resort & Spa. “Yesterday I saw the flowers blooming and realized how lucky we are. To appreciate the progress we’ve made, how beautiful our resort looks, and to be back serving our guests again is a blessing. When I look around at CuisinArt, I see a fabulous new beginning,” Zaharia said.